R2i is a digital marketing agency specializing in content strategy, search, social media, and marketing cloud technology with a focus on helping brands produce measurable results. As Chief Executive Officer of r2i, Matt Goddard brings a deep understanding of social network theory and digital marketing platforms to r2i's clients and partners. His visionary thinking about brands and the engagement strategies that activate �communities of interest� has attracted a national clientele, including Black & Decker, Microsoft, BUNN, Time Warner and Medifast, among many other familiar companies across B2B and B2C industry verticals. Matt's energy and passion for rallying brands to become digital publishers has made him a highly sought after speaker who regularly contributes to academic and business forums on the future of marketing communications in a peer to peer world. Prior to launching r2i, Matt was co-founder of Impreza, a leading digital marketing and technology firm. After the acquisition of Impreza by Sinclair Broadcast Group (SBGI), Matt began Round 2 Communications (R2), which then morphed into R2integrated (r2i). 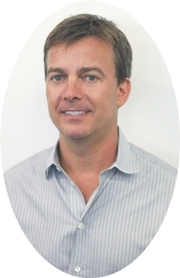 A graduate of Towson University and Carey Business School of The Johns Hopkins University, Matt is also responsible for R2i ventures, a division of r2i that makes equity investments in start-up companies launching unique and innovative technologies. CEOCFO: Mr. Goddard, what was the vision when you started R2integrated and where are you today? Mr. Goddard: Our vision is still very similar. We decided that the technology and marketing products and services that Fortune 500 companies were going to need to implement in order to reach the millennial audience was going to be very important. We built an agency of the future, an agency that combines great creative, great tactical digital marketing, but that also has the technology chops to implement all of the various technologies that a CMO needs. CEOCFO: Would you give us an example of what R2integrated is able to accomplish that perhaps others are not? Mr. Goddard: There are many companies that have similar service lines to R2i so we aren�t the type of company that believes we have something others don�t. What we are is a little giant that can perform the same service offering as the big guys but may be more cost effective and more nimble. We also have advanced capabilities in the marketing technologies that all CMO�s need and can do high impact creative campaigns. Most firms do one or the other. So let�s say you want to implement a marketing cloud let�s use Adobe as an example. Adobe has a content management platform, an analytics platform, a marketing automation platform, a social platform and a media optimization platform and you wanted to implement that into your organization. R2i has the staff to do the strategic development and understand what you need and implement those cloud products and development services. That is one side of the company, but the other side can actually turn campaigns on and run campaigns through the systems. So we are a cross between a systems integrator and a digital marketing company often seeing someone like Accenture and Razorfish competing with us on the same project. We have seen a few companies that are similar and have similar service lines that are much bigger than us, but we are probably the smallest, little giant out there that can serve both needs. CEOCFO: Are most of your prospective customers looking for that when they come to you or is it a more of a plus for them? Mr. Goddard: Most of them are looking for both technology and marketing services. Digital is a highly fragmented business. Some companies just want a search partner, some want search and social, some want an agency of record. And there are many different types of agency models, implementation techniques and many different tactics that can be deployed by any company. We are a full service digital marketing agency, so we do everything from search to social, to the technology implementations that I mentioned, so clients come from all over the place. Our ideal customer is someone who is interested in implementing a marketing cloud such as Adobe, Sitecore or Oracle and then wants to run campaigns using the tools they just purchased. CEOCFO: Is it hard for you not to open up all of the possibilities to someone who is looking for less than the full range? How do you show them the possibilities without seeming pushy? Mr. Goddard: In our space, different companies require different levels of service and they require different types of tactics. We are happy to perform any one of the tactics that we specialize in. Agency of record opportunities are the number one thing that we go after. It is not unusual for us to do a portion of the work on behalf of a customer. In some cases, we are serving in a new role for customers which we refer to as digital conductor. This is where a company may have three or four different agencies doing specific components of their strategy, but they need someone to manage all of the different parts and make sure it all comes together�make sure the analytics dashboards are right, and the return on investment is there. We have a couple clients for whom we are serving in this digital conductor role and we are very comfortable in those roles. Our monthly retainers run anywhere from 25,000 on up per month and as long as you meet our minimum cost to work with us, we are comfortable taking on pieces of the project. CEOCFO: Are all of your people versed in both sides of the business or do your people tend to specialize? Mr. Goddard: Our account managers understand both sides of the business because they are the ones in charge of the customer and customer relationship. Our strategy team understands both sides of the business. The account manager and the strategists are well versed across different parts of the company, but there various specialists that work at r2i. An Adobe engineer has a very different life than a search marketing specialist, and we do not have expectations that our senior engineers are going to be intimately familiar with Google and all the search marketing requirements that our search marketing experts know; they tend to be specialists. However, the account management team and the strategy team actually understand the entire business and how everything works together. CEOCFO: Are there typical industries or size of companies that are more inclined to come to you? Mr. Goddard: In tech, we have companies like Microsoft; in financial services, PHH mortgage; and for education, we have the University of Michigan. In the pharmaceutical space, we have Valeant. We also work with a number of real estate clients like Rose out of New York City. Those are the different verticals that we work with and some of the clients that we have. CEOCFO: How do you reach potential clients, how do they find you and how do they know who and what to look for? Mr. Goddard: How we find customers is in a number of different ways. We have strategic partnerships with the technology platforms we have expertise in. Whether it is Adobe or any of the various technologies that are out there, we have partnerships with those companies and we share leads and co-op budgets relative to marketing. We also go to a number of independent shows where we do speaking engagements and we get to meet CMOs from across the country. We have some business development resources in each geography where we have offices; in New York, Maryland and Seattle, we have business development leads that act as the mouthpiece for them and help identify customers. We do some inbound marketing, which means we do search engine optimization and search engine marketing for companies that may be looking for our services. When you add all that together, you can build a good business that way. A great deal of it is reputation. There are so many competitors in our industry. Our sweet spot is around one billion to four billion in revenue, with Microsoft being the major exceptions to that rule. If you are doing between one and four billion and your digital marketing requirements are between five hundred thousand and 1.5 million, we are the perfect candidate for you. If you have a five million or ten million dollar requirement, you may decide to go to a larger company. If your requirements are only a few thousand dollars, you may go with a smaller company. CEOCFO: Last year R2i was named as Top Workplace in annual survey published by The Baltimore Sun. How do you create that atmosphere? Mr. Goddard: It starts from the top. We have always had a great corporate culture. We have three rules which are: do not be an idiot; work hard but do not be overworked; and if you have an issue, speak up. We are a very transparent organization. I basically tell the team almost everything that is going on with the company. I have a great VP layer and each VP has a small team of maybe 15 or 20 people reporting in to them and then the VPs report in to me. It is about living everything you say you are going to do, to do it, and to hire the right folks that believe in your culture and believe in what you are trying to do. When you do all those things, you can monitor it and make sure that it is being done right and you can land on these lists of the best places to work. It is getting harder and harder to recruit talent; it is highly competitive, so you want to make sure everyone is happy. We bring in lunch every Friday. We close on opening day for the start of the baseball season and we try to do some fun things to balance the work aspect of your life and give you some work/life balance. It is also a very hardworking group; everyone here wants to excel and that is part of the hiring process. It is not easy but we are able to do it. CEOCFO: How do you maintain the culture as you grow? Are you paying attention that? Mr. Goddard: We pay very close attention it. Your culture is the people that come into work every day. The CEO is not the culture. The CEO can be the culture, when you have 15, 20, or 30 employees, but when you start to go north of 100 employees, what I recognize is the CEO cannot be the culture, the culture needs to come from within and needs to be a combination of all the various people that work at the company. We hire really good VPs that believe in what we are doing and they can then foster and represent the company and articulate our values and vision to the people that work underneath them. The biggest transition I think from going from a small company to a large company is you need to start empowering your people to take the culture and run with it. Of course you need to monitor it to make sure that it is what you want at the end of the day, but if the CEO tries to just be the culture of the company and you have 200 people running around, it is not going to work. We have empowered some of the VP layer to take the culture and impart its values on the team that they have and it is working and much easier to manage. CEOCFO: Would you tell us about R2i Ventures? Mr. Goddard: R2i Ventures is something that we have done for many years where in the Baltimore and Seattle marketplaces there are great deal of high tech startup companies. We have entrepreneurs that have unique ideas that may be looking to raise capital and need a little bit of assistance from a marketing and product rollout perspective. If a company has raised some money such as a million dollars of series A and they want some marketing services, we will trade some of the value of their services in exchange for stock in their company. It helps them preserve their cash and it gives us some stock and some pretty interesting companies that we have been doing work for along the way. It is a good thing to do for the community as well because many of these companies need a little help to get off the ground. CEOCFO: What have you learned in previous ventures that is relevant at R2i? Mr. Goddard: The main thing I have learned in my previous ventures is that there is a fine line between success and failure. In my first company, we sold it in October of 2000, which was two weeks before the Nasdaq I believe took its second or third major dive. Everyone that was still in business on November 1st, that had not been acquired, went out of business, and everyone who had been acquired basically got out before the .com era ended. I realized that had we not sold the company when we did, we probably would have gone out of business, so there is very fine line between success and failure and when you lose sight of that and just how fragile running a business is and how difficult it is, it can cause you major problems. You never want to get a big head, you never want to think that your way is the right way and that what you are doing is always going to work. You need to constantly make adjustments and look at the marketplace in order to sustain a long-term company. That is the biggest lesson I learned many years ago. CEOCFO: What will be different a year or two down the road for R2i? Mr. Goddard: The biggest difference is we have a capital partner now. Orix Private Equity invested in r2i in December of 2012 and since then, we have been looking to make some acquisitions. A year from now, we will probably have one acquisition under our belt and the company will be twice as big as it is now. That will be the major change. The service offerings will be similar: we will still be doing the marketing cloud implementations, we will still be doing campaign management and campaign creation and it will just be a little bit of a bigger operation and on a bigger scale. We really need to do that because as we try to go after the five million dollar project and ten million dollar projects, we need to have the confidence and ability to scale and the client needs to know that we can handle the project for them. In order to do that, you need be a bigger company. That is by far what will be the biggest difference.